White flowers are often associated with purity and this makes such bouquets particularly popular when offering support, condolences, and even well wishes to a newlywed couple. 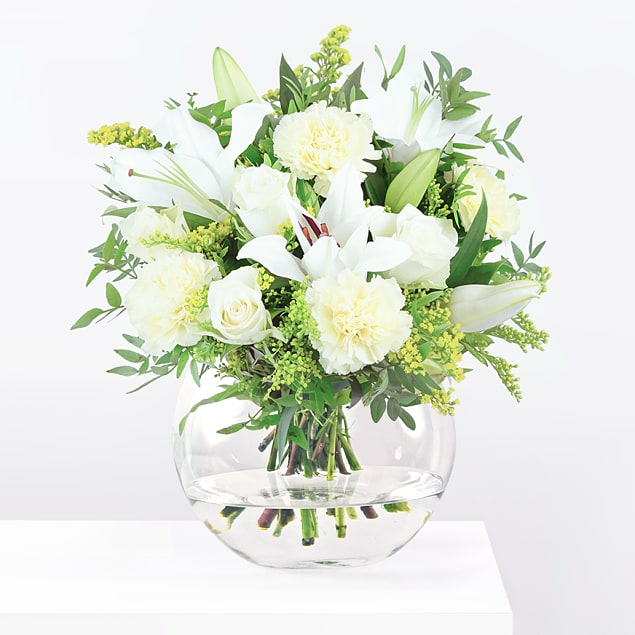 White flowers are of the most versatile of all and suitable for all recipients. 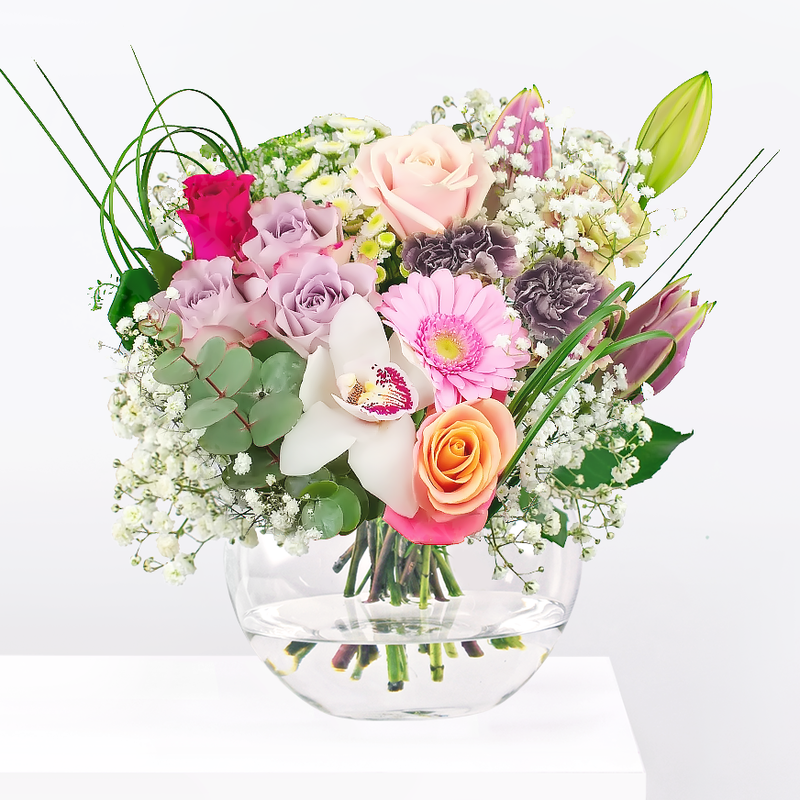 We have selected white Oriental Lilies, Solidago, Dutch Avalanche Roses, and Pistacia for this fine bouquet. Celebrate has been added to your basket.